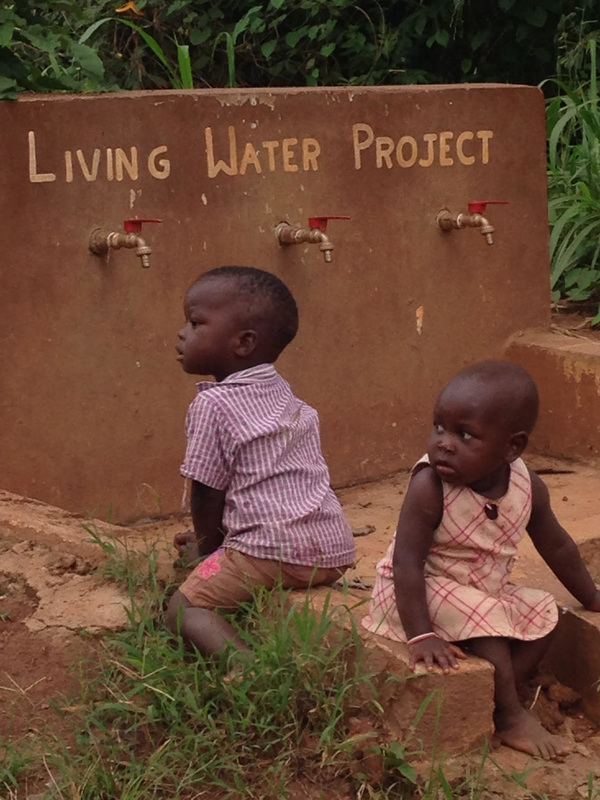 In 2012, the Living Water Project was established to meet the physical needs of the surrounding community. The Project includes five sources of water that are all linked to the same main water supply. This project was a part of a community effort to bring clean water to the surrounding neighborhoods. Since ACV had a well that has a supply of ever-ending clean water, God purposed to give this water away to those in need. The men in the area were eager to participate in digging mile long trenches that would stretch in five different directions. Once we were successful in getting the water lines and supply to these locations, a cement station was poured. In order to monitor the water usage, there are certain times of day (from 3pm to 6pm) that each source is "open" for members of the community to come and fill their water jugs for their families. We want to ensure that each family gets an adequate amount of clean water every day. The water is used for their bathing, cooking, and for their drinking water. We acknowledge that these people need Jesus first and foremost, and this project is an opportunity to tell these people about the Living Water that will never run dry. As we meet their basic (practical) need of clean water, they become increasingly more receptive to hearing about our source of Living Water. ​Jesus said, “Anyone who is thirsty may come to me! Anyone who believes in me may come and drink! For the Scriptures declare, ‘Rivers of living water will flow from his heart.’” (John 7:37-38, NLT). ​My name Is Joshua Richard Mirondo a second year student at Uganda Christian University. I am a born again Christian. Currently, I am under the Community Sponsorship Program (CSP) at Agape Children’s Village. I feel so good because God has blessed me through this external sponsorship program. Some time last year (2014), I got a problem with tuition and was worried about the future of my education. I thought I couldn't go ahead with university. I felt hopeless and had no idea where my help would come from. That same year, on 31st December, I asked God to provide me with my needs in the upcoming coming year, which was 2015. I continued praying and trusting that God would meet my needs. Then I applied for the scholarship program and continued praying. It was only by His grace that I received a scholarship. I thank God for the kind hearts of those that have given to those in need and may He reward them abundantly. I am forever grateful for His faithfulness and His provisions in my life. ​I am Makanga Derrick and I am blessed to be among the children under the Community Scholarship Program of Agape Children’s Village. Life has been a challenge to me since childhood because I lost my Dad at the age of 3 and didn’t grow up with my mum. I grew up with my mother’s relatives and I did not live with my mother until recently when I was informed of her death. This was hard for me because I had to figure out a way of going to school by myself. I did this for sometime but I reached a point when paying school fees by myself became too hard since I had gone to higher class and the fees had increased. This is when I stayed out of school for around 3 ½ years. Since I am a basketball player, I asked around for a basketball court in the neighborhood and someone directed me to the ACV court. This is where I was informed that Agape Children’s Village has a program of helping children in the community. I had to ask how I could get access to this opportunity. I gave it a try by asking the Assistant Director, Kibaya, to see whether I could be helped to go back to school. Through God’s blessing I started receiving help to go ahead with my studies this year, 2015 and I no longer have to worry about school fees. I am so thankful for what is being done for me and so happy and blessed that you love me. MAY GOD BLESS YOU.